ZADCO undertook a field expansion program which consists of the construction of additional satellite platforms and several new artificial islands as centers for future drilling and oil production. 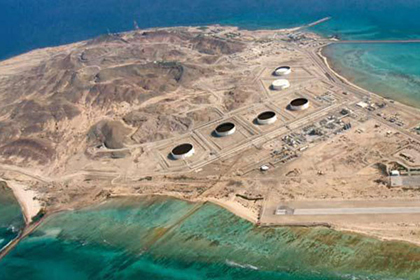 During the feasibility study of constructing the new islands, ZADCO found that wave and current conditions became more severe in some locations. So, some existing pipeline sections in the vicinity of the new islands were no longer satisfying DNV-RP-F109 Generalized Method’s stability criterion of pipe lateral displacement less than 10 times the diameter. This resulted in the need to employ additional stabilization measures for these sections. INTECSEA Singapore scope of service was to optimize the additional stabilization requirement. This scope was a part of the overall scope of WorleyParsons Abu Dhabi in designing the additional stabilization. INTECSEA Singapore has revisited the design criteria for those unstable pipeline sections considering the inherent conservatism in the assumption of 10 pipe diameters (10D) displacement as a failure criterion. The intention was to find a more optimal design solution while meeting the safety requirement and complying with the applicable design codes. One idea was to allow the pipeline to displace by more than 10D displacement as long as its structural integrity was not compromised. This design approach would require a dynamic lateral stability analysis where the pipeline responses were calculated in terms of dynamic displacements and stresses during the storm sea state. The dynamic stability analysis results showed that the unstable pipeline sections met the DNV-OS-F101 limit state requirement without the additional stabilization requirement. However, additional concrete mattresses were required to be placed along the ZADCO existing pipelines near to riser spool to avoid additional loadings on riser spool, crossing locations to avoid the ZADCO existing pipelines from contacting with the crossing supports and some pipeline sections that near to new future proposed pipeline to avoid the risk of clashing. The additional stabilization optimization study has resulted in significant reduction of the required number of concrete mattresses and about 85% saving of material and construction cost.